Six years ago those words took on a significant meaning to a group of determined young adults with disabilities who wanted to show the community in which they live and work how much they actually were capable of accomplishing. 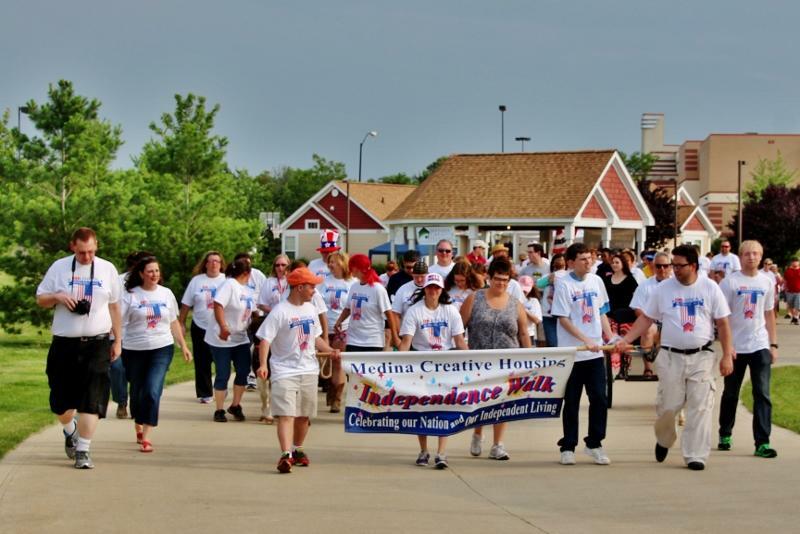 The combined efforts of the residents who live in the Medina Creative Housing development, with the encouragement and support of MCH Executive Director/CEO Dianne DePasquale-Hagerty and the MCH Board, planned a very successful, very visible “Walk of Independence, Freedom, and Opportunity,” a beautiful event that is truly a celebration of all they have accomplished, and their contributions to the community. 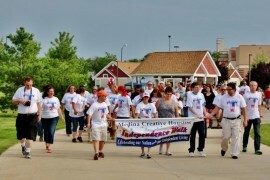 On July 3, the eve of our nation’s Independence Day, residents, entire families, untold numbers of friends, supporters, and well-wishers, many with their pets, gathered at the North Huntington location of phases I and II of Medina Creative Living.